In an effort to prevent the Galaxy Note 7 users from taking the dangerous device onto flights at the last minute, Samsung has start setting up exchange booths in airports around the world, starting with some South Korean airports, as well as in airports across Australia and the US as well, The Verge reports. 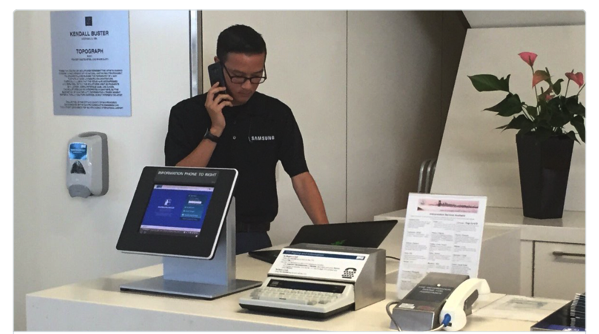 The booths are located just before security screening, and allow Note 7 owners to swap their phones for an “unspecified exchange device”. A report from San Francisco’s ABC7News claims that Samsung’s employees are also available at these exchange booths to assist customers in transferring their data onto a new phone. The necessary measures are being taken by the South Korean company since it’s now a federal crime to bring a Note 7 onto a flight in the US, and can lead to nearly $180,000 in fines and up to 10 years in prison (via BusinessInsider). The emergency order was issued by the US Department of Transportation, banning all Samsung Galaxy Note 7 devices from planes. Meanwhile, German flagship carrier Lufthansa has now banned the Note 7 from all of its flights, according to Reuters. “Transport of the devices is forbidden on all flights, both in checked bags and in hand luggage,” a spokeswoman for Lufthansa said, confirming a report by German radio station MDR Aktuell. Lufthansa had previously only banned the smartphones from flights to and from the United States. We should be getting reports of Note 7 exchange booths being set up at Canadian airports pretty soon as well.